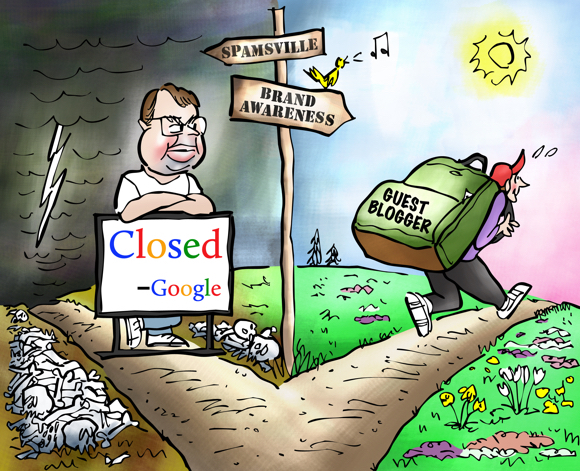 Editorial illustration for a ClickZ post about Google’s response to spammy guest bloggers. 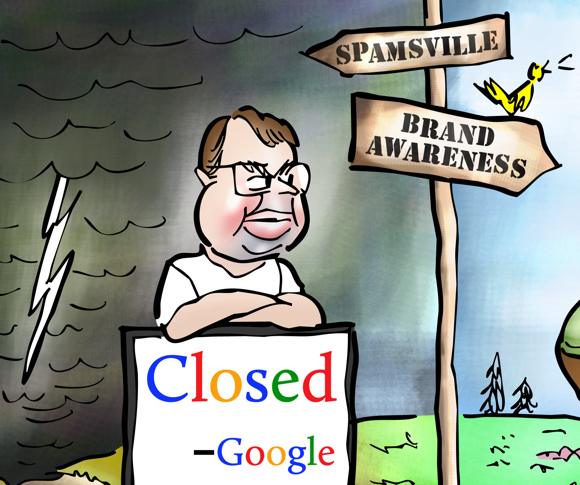 The illustration features a caricature of Matt Cutts, former head of Google’s web spam team. He is currently on leave from the company.